(from 2014 SC card kit). Week 5: using up the last of the beautiful cards designed by Leslie from "A Creative Mint" in the SC PL kit for Jan. Added cards from the "Dreamy" PL core kit by Heidi Swapp, couple pieces of washi and one flair badge. 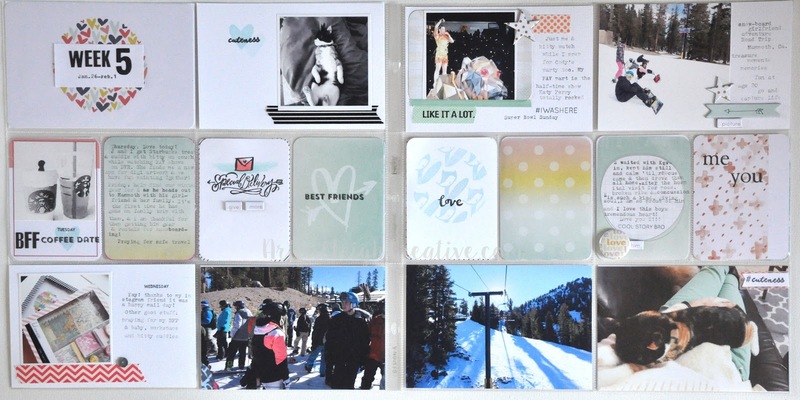 The stamps are from "Kellie Stamps" @GiveAGirlABlog, and the SC PL kit.